The day has finally arrived; I can now show you the dress! 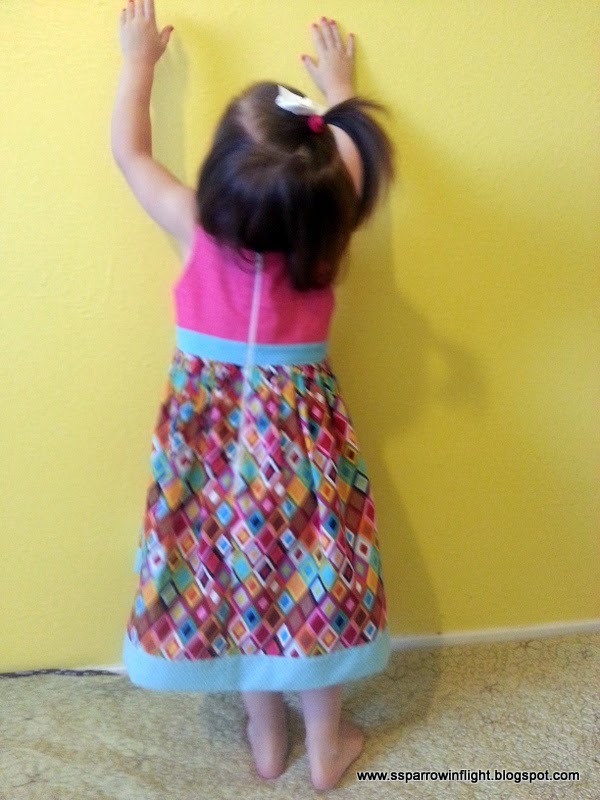 I have been pattern testing for Sis Boom and the Scientific Seamstress on the Gabriella Fae Dress. The best part about this dress is that it has so many options: Short sleeves, long sleeves, 3/4 sleeves, or no sleeves with a regular bodice or a gathered bodice. 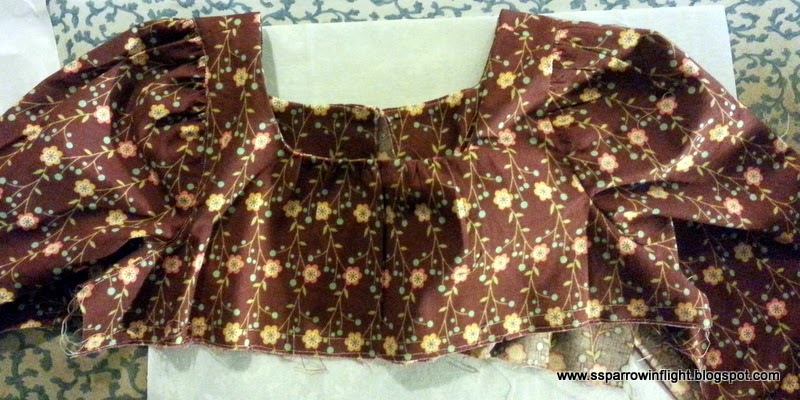 I started with a size 5 girls gathered bodice version because that is what my daughter seems to be sporting these days with long sleeves because it was Winter for a couple weeks here in Texas! 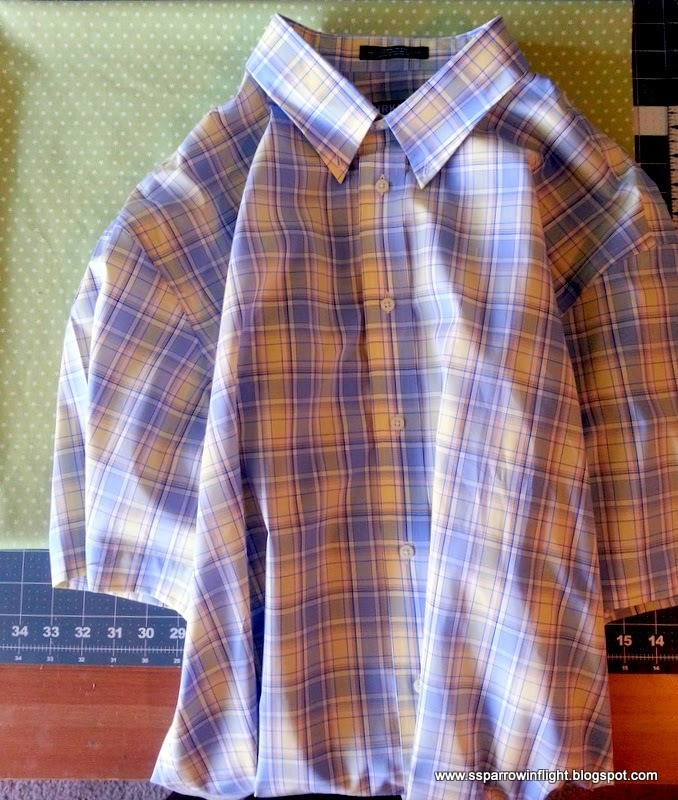 Once I tried it on her however , I realized that it's probably best not to measure one's child for garments while they are laying down (while she was sleeping, lol). I wanted you to be able to see the pretty gathers. This one should be done this week if I can get the rest of my list completed. 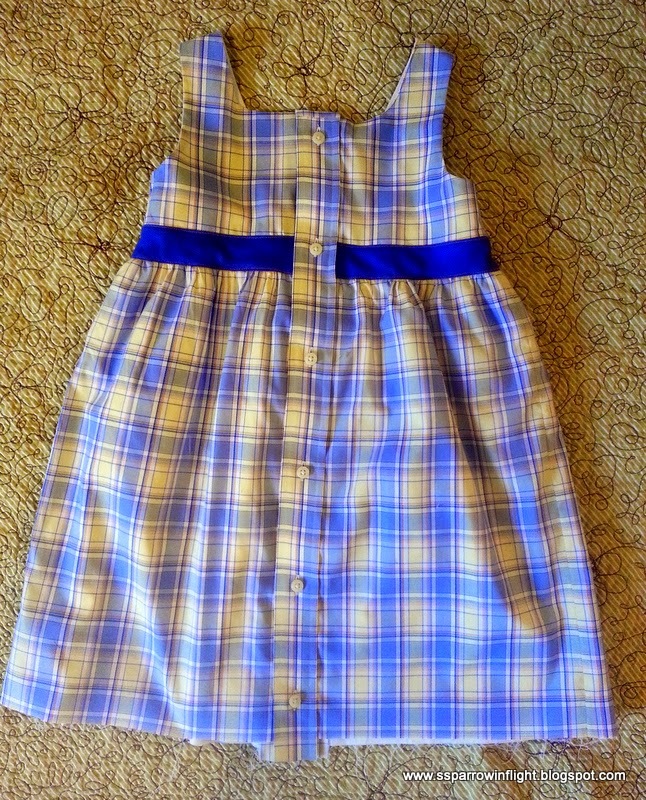 It just needs a little hemming and then this fully lined version will be ready to wear this coming summer (Size 5 girls). It's a really easy dress to put together, even the zipper instructions seem like an easier task than I thought they would. If you are interested in purchasing the Gabriella Fae you can find it on the Bundle-Up from January 23-February 2nd. When it is released for single sale you can visit the Scientific Seamstress Shop HERE. If you want to see the adult women's version called the Carolina Mae, stop by HERE, they currently have it on sale for the intro price of $8! Her dresses look lovely ~ I esp. love the last one made from your hubby's shirt. Re-purposing is awesome! 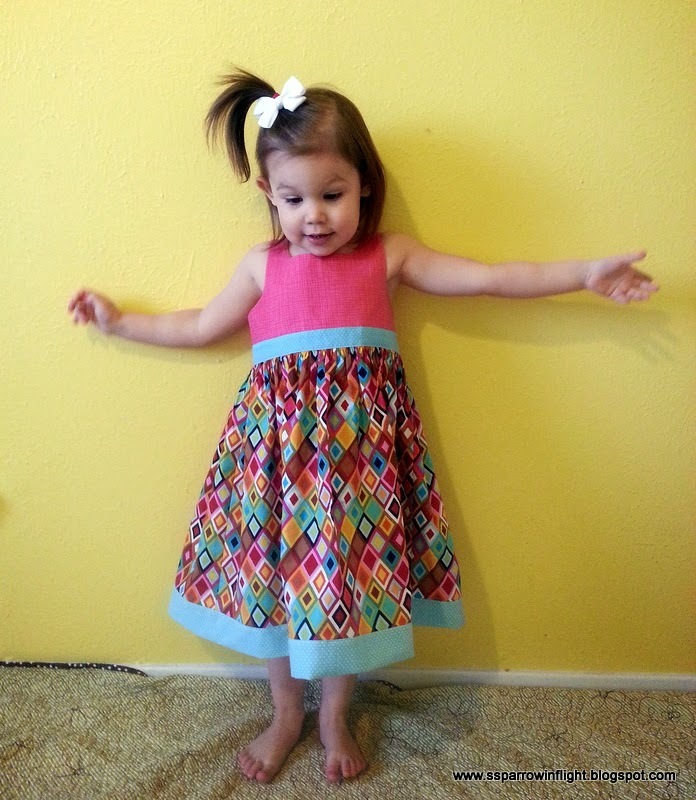 I love making little girl dresses!! You did a fabulous job! That is a great pattern! I love the one that you used your husband's shirt. Great idea, Shanna. You are so smart! 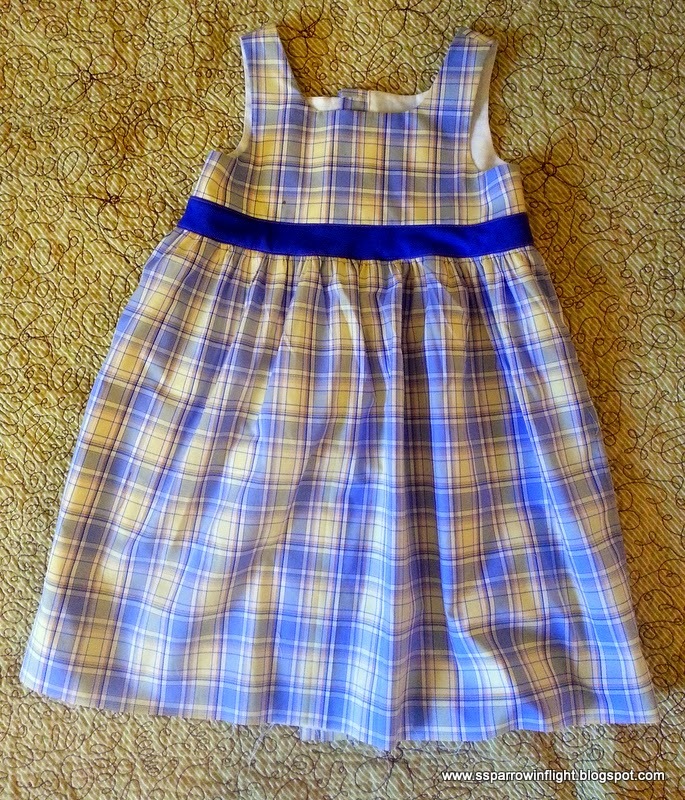 It turned out to be a really sweet dress.